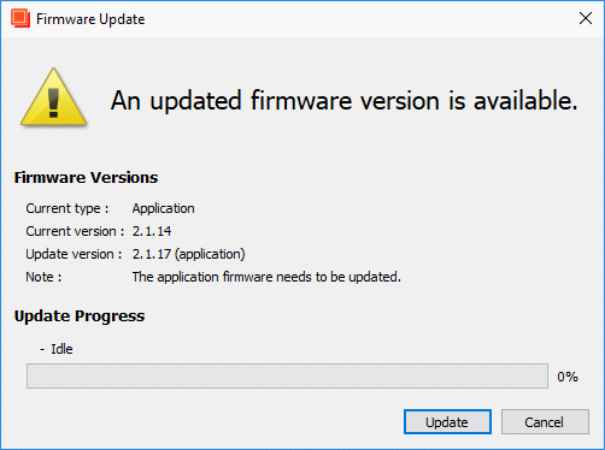 With new software release, the firmware of your EXOSTIV Probe sometimes needs to be updated. Such updates fix issues and add functionalities to your probe. 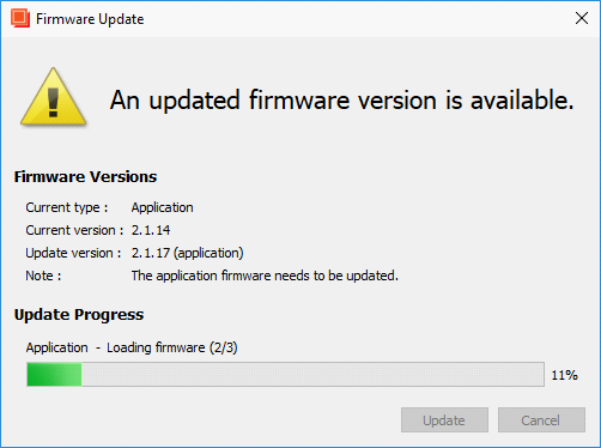 Probe firmware updates are automatic and mandatory. 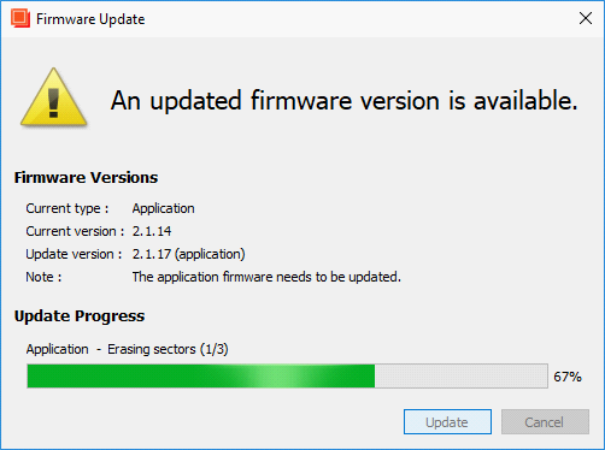 – Firmware updates are started when you connect EXOSTIV Probe to EXOSTIV Dashboard for the first time when using a new Dashboard release that requires a firmware update. >>Click on Ok, close EXOSTIV Dashboard and shut down the probe. The probe is then ready for use with the new software and firmware.